This fish is too often overlooked. I must admit to being one of these "overlookers" for some time. 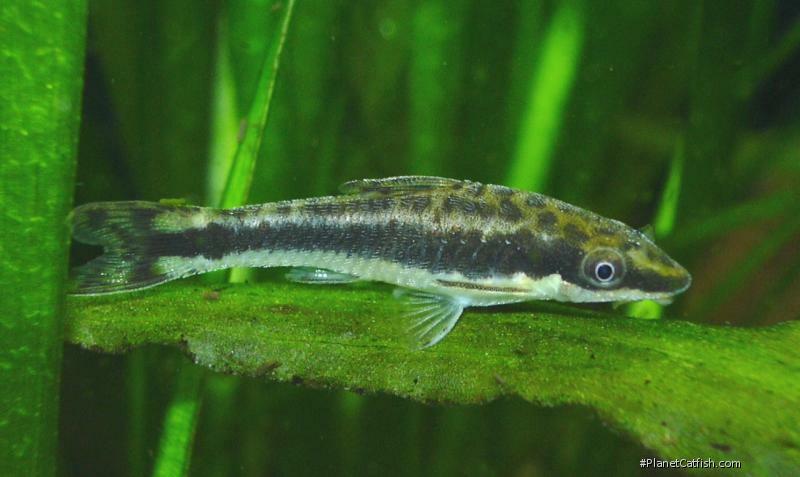 The Dwarf Sucker or "Oto" isn't a spectacular looking fish, but if kept correctly, more than makes up for this cosmetic shortcoming in an abundance of character. My involvement in keeping Otocinclus at home in the last few years began when I saw a large tank full of these fish. They were very active, swimming around and generally having a ball. Previously I had only seen for sale two or three docile individuals in a single tank. Like Clown Loaches (Botia macracanthus), these fish really come into their own when settled and kept in numbers. Unlike the loaches they don't possess an eye-catching colouration and this can lead to them being sadly over looked by the aquatic shopper. I started with half a dozen of these fish which, admittedly, was decreased by the loss of three in fairly short order. Not to be discouraged this was increased to a group of 10 fish. Removing the Sailfin Pleco (Pterygoplichthys gibbiceps) that was "blamed" for depriving the smaller Loricariids of their food also helped. The group flourished and kept the local flora (A clump of Amazon Sword Plants) free of unsightly hair and brown algae. The fish quite often swam in trios or more in mid-water (Corydoras style). They excel at algae housekeeping and as such are heartily recommended by Takashi Amano in his visually stunning "Nature Aquarium World". 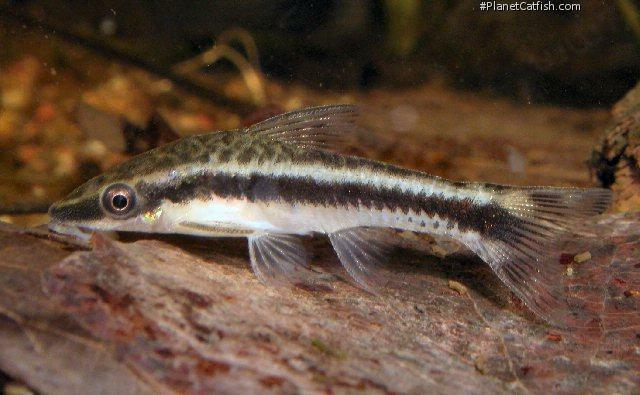 There are other species of Otocinclus and the similar Paraotocinclus available from time to time; these are very similar in terms of care and maintenance. A few words of warning about Otocinclus, make sure you filter intake pipes are not capable of sucking the Dwarf Sucker! Furthermore although I do not think they were being aggressive, but I had to remove Otocinclus from a Discus (Symphosodon sp.) tank because they were attaching themselves on the Cichlids. This behaviour may also be a problem to Angelfish (Pterophyllum sp. ), or other slow-moving high-bodied fish.